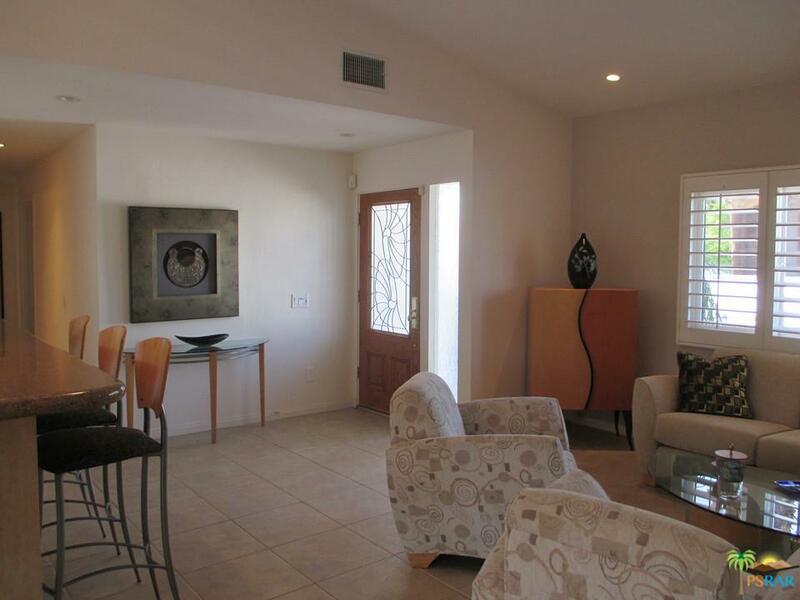 Gated entry to this stunning home located close to downtown. The home features 3 bed/2 bath, den/dining room w/fireplace. The kitchen has granite counters, stainless appliances and wrap around bar that seats 8, also a breakfast area with single light French doors to pool and rear yard. 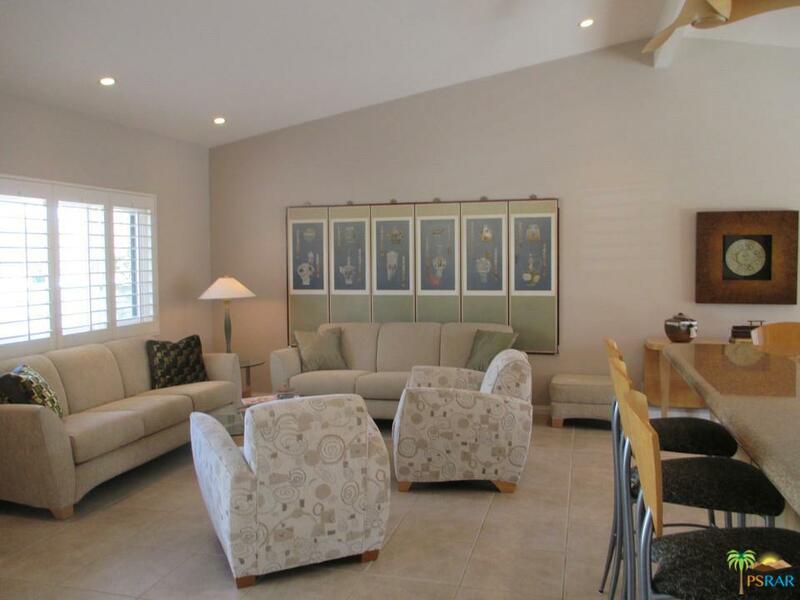 Open concept floor plan with tile floors throughout, except bedrooms. One month new Trane air conditioner. Brand new combo microwave/convection oven. Master suite has single light French doors overlooking pool, en suite bath with granite counters, a bidet, and a to-die-for walk-in closet. Both front and rear yards are beautifully landscaped. 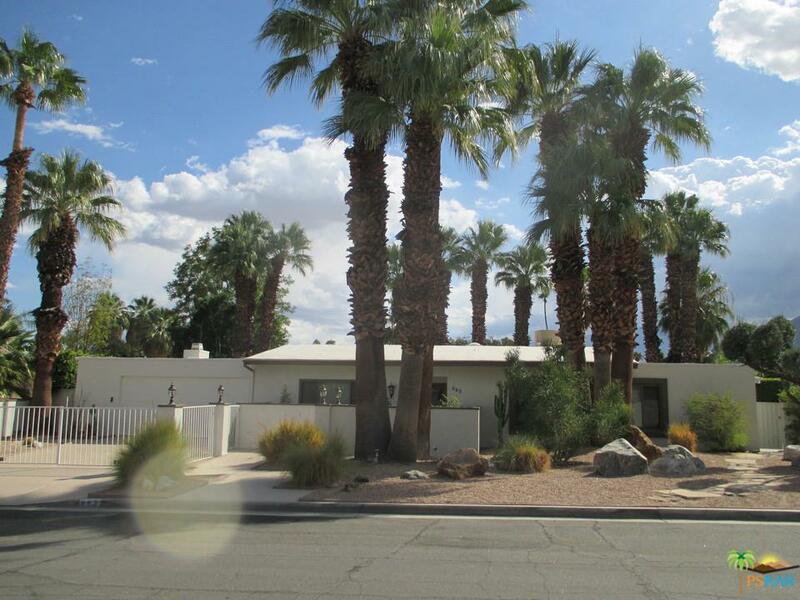 Rear yard has fabulous "WIRELESS" VIEWS of the mountains, majestic Palm Trees and it is completely walled and private. There is a wet bar, fire pit, built-in bar-b-q w/fireplace and 2 week new resurfaced pool. Exterior was painted a few months ago. 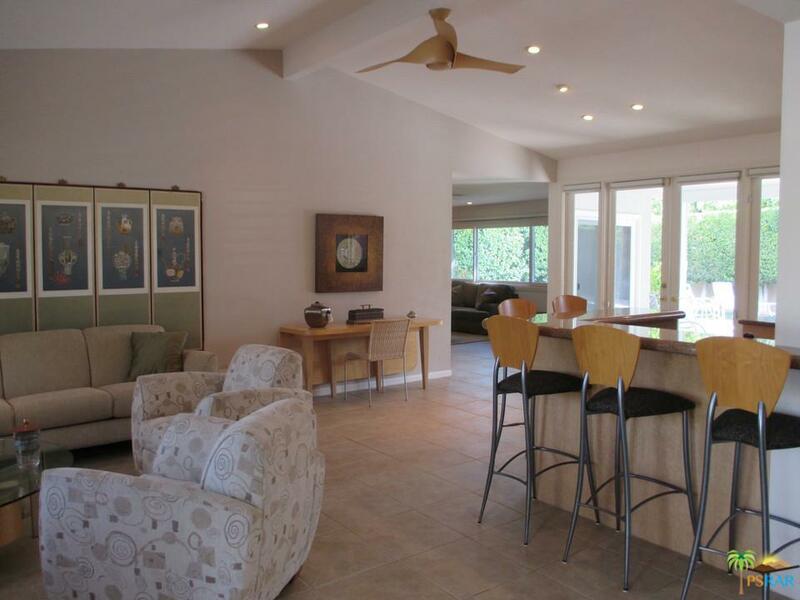 This is a perfect home for entertaining or serenity. Sq. ft. not measured. Buyer to verify. Sold by Tony Banuelos BRE#00914384 of The Agency. Listing provided courtesy of Jennifer Cashoty DRE#00914384 of Homesmart Professionals.